A haulage boss and a mechanic have been jailed following a 2015 tipper truck crash that killed four people in Bath. Matthew Gordon and Peter Wood were sentenced at Bristol Crown Court to seven and a-half years and five years three months, respectively. They were told the lorry had "truly serious faults" that were "obvious to anyone". Mitzi Steady, four, Robert Parker, 59, Philip Allen, 52, and Stephen Vaughan, 34, died in the crash in February 2015. 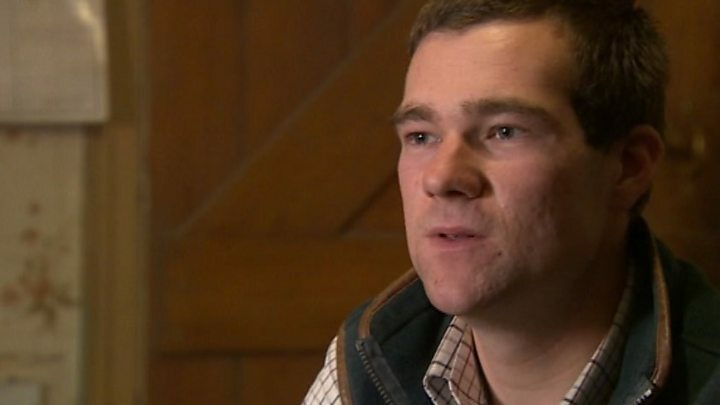 Philip Potter, 20, who was driving the truck, was cleared of dangerous and careless driving following a trial in December. Mitzi, from Bath, was one of a number of pedestrians struck when the lorry, which had faulty brakes, sped out of control on Lansdown Hill. Mr Allen and Mr Vaughan, both from Swansea, and Mr Parker, from Cwmbran, south Wales, were in a car hit by the vehicle. For more on Bath stories visit the live page for the West of England. Mr Justice Langstaff said Gordon and Wood had a "cavalier" attitude to maintaining vehicles owned by the firm, Grittenham Haulage Ltd. Sentencing, the judge said: "I accept that neither of you intended death or injury or even brake failure. You did not wish it. "But the fact is that a lorry as heavy as this is likely to cause serious injury and death to members of the public unless properly maintained." Image caption The judge said the failures regarding the brakes on the 32-tonne tipper truck were "inexplicable"
Gordon, of Dauntsey, Wiltshire - who was also banned from being a company director for 12 years - was driving in a truck in front of the lorry that crashed. Wood, of Brinkworth, Wiltshire, was employed by Gordon and carried out safety checks on the vehicle. Mr Justice Langstaff told the pair: "You knew that being casual about the safety risked the lives of others. Your failures are inexplicable. "If they were one-off failures that would be bad enough, but they are not. They were part and parcel of the way you approached your responsibilities." The trial heard that after the accident, Gordon told Mr Potter not to mention that an ABS warning light - indicating problems with the braking system - had been on. "You exposed Mr Potter, a young driver, to the horror of unavoidably killing a young child," the judge told him. "You showed no immediate remorse for what happened," he added. In addition to those killed, Margaret Rogers - Mitzi's grandmother - suffered life-changing injuries when the 32-tonne lorry crashed into them as they crossed the road. She spent three months in hospital and had to have both her legs amputated. In a victim personal statement read out to court, she said she suffered daily "distress and humiliation" because of her injuries and is "frightened for her future". Karla Brennan was also seriously injured when the lorry, which was delivering aggregate from Shorncote Quarry to a park and ride, hit her car. Image caption Mitzi Steady was described by her family as an "outgoing, fun, beautiful girl"
Emmajade Steady told the court that losing her four-year-old daughter meant it was a struggle for family life to go on. She said she was bereft at no longer having Mitzi's laughter and singing filling their home. The little girl's grandmother, who was also hit by the truck, told the judge about the physical and emotional pain she had been left with. The widow of Steve Vaughan wept as she described the moment she went to see her husband's body. Sian Vaughan said she held his hand and played songs they had played at their wedding just six months earlier. 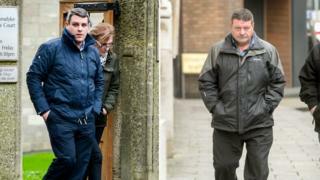 Matthew Gordon and Peter Wood listened in the dock as the widows of the two other victims - Philip Allen and Robert Parker - described those responsible for the state of the tipper truck as reckless, saying the accident should never have happened. Media captionDCI Richard Ocone said brakes on a lorry that crashed and killed four were 'inadequate'. The incident was described as "horrific" by Avon and Somerset Police, which led a 22-month investigation into the crash. "As a company owner, Matthew Gordon had no transport manager and effectively flouted every regulation, which had been put in place to ensure safety," he said. "His mechanic, Peter Wood, signed off vehicles as safe when they clearly were not. "Detailed and complex investigations showed many of the faults on the vehicle were longstanding - highlighted by the fact that the brakes on the lorry at the time of the crash were totally inadequate, having an overall efficiency of just 28 per cent." 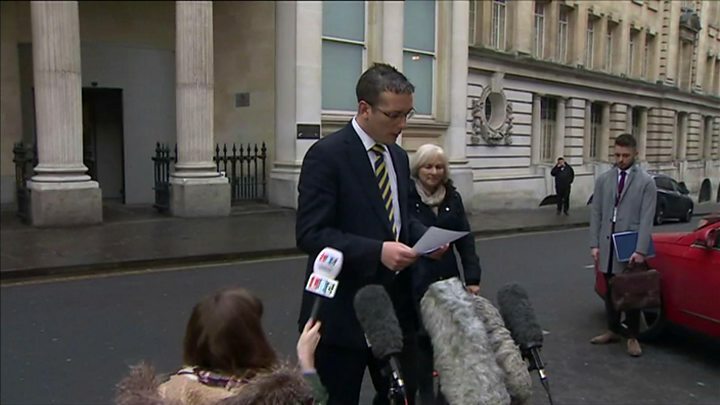 Media captionAlison Harris from the Crown Prosecution Service gives a statement. 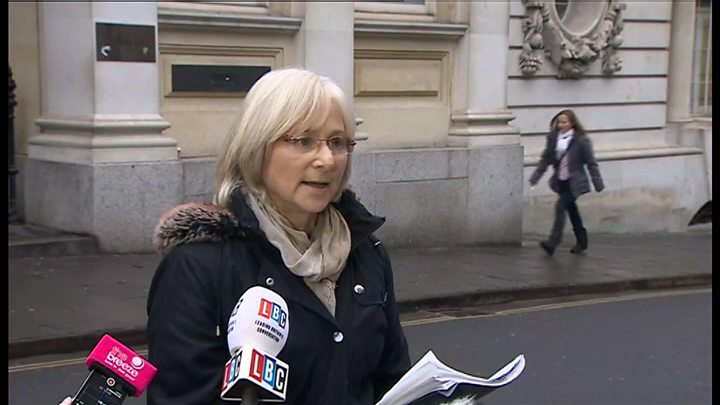 In a statement read outside court, Alison Harris, from the Crown Prosecution Service, said "gross negligence" caused the loss of "innocent lives". She said she hoped the verdict would bring "some sense of justice" to "all those whose lives have been affected by this terrible collision".